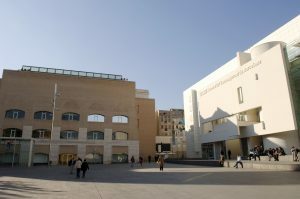 The MACBA Study Centre (CED) opened its doors in 2007 with the aim of strengthening the role of the Museum as a centre for research, debate and diffusion of contemporary thought. CED compiles, organises, conserves and diffuses MACBA’s documentation. This role as a custodian of heritage as well as an activator of knowledge surrounding contemporary art practices is exercised through two departments: the Archive and the Library. The documentary material that constitutes the Archive is structured into fonds and collections, which include the archives of individuals and entities, artist’s books, posters, photographs, invitations and pamphlets, etc., as well as reference books and audiovisual documents. 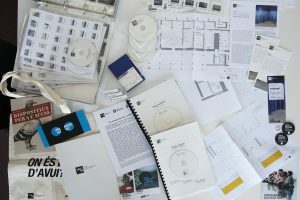 The Archive was created out of the conviction that since the beginning of the last century, and especially from the fifties onwards, artistic production cannot be understood simply through the artwork in itself, and that the document is an element of the language that makes up complex cultural productions such as art. 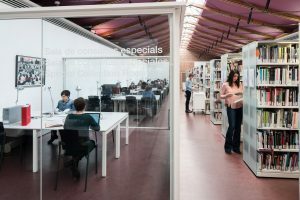 Special Collections Room at MACBA Study Centre. Photograph: Miquel Coll.